Photo: Paul Wellman Santa Barbara's appoints its new Poet Laureate Laure-Anne Bosselaar. 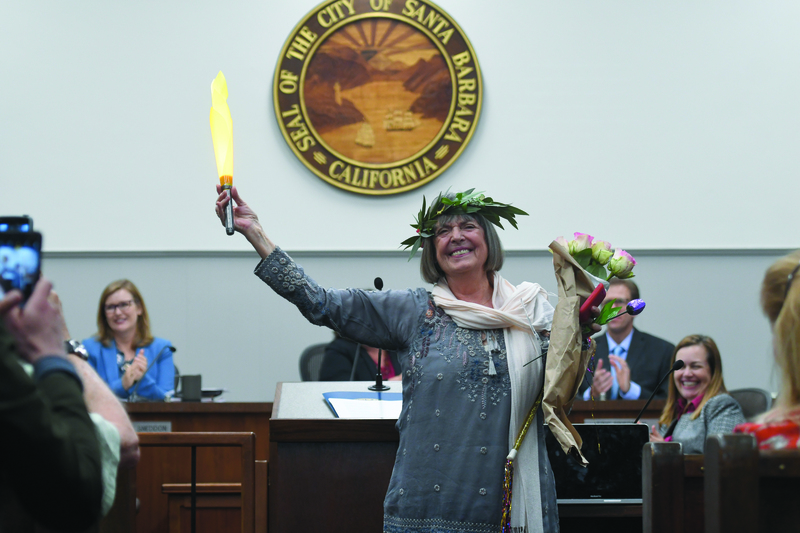 Whereas Enid Osborn, Santa Barbara’s outgoing poet laureate, radiates calm and tranquility even in the midst of chaos, her successor, Laure-Anne Bosselaar, is a whirlwind of energy and passion. The Belgian-born Bosselaar moved from New York to Santa Barbara in 2010 with her late husband, the much-beloved Kurt Brown. The couple wanted to be closer to her daughter in Los Angeles, and after considering Ojai, Ventura, and Malibu as possible homes, Laure-Anne and Kurt decided on Santa Barbara, in part because the city’s lively poetry community. “There’s a generosity and willingness to work together in our poetry community that I am most grateful for and hope to further develop,” Bosselaar said. Photo: Paul WellmanSanta Barbara’s appoints its new Poet Laureate Laure-Anne Bosselaar.